With evidence of their use dating back to around 700BC, it is safe to say that dentures have been around for a very long time. Prosthetic teeth used to replace those which are missing in the human mouth, they restore both the function and appearance of our smiles when we have lost most of the teeth in our upper and/or lower jaws. Fortunately, the design and materials used in dentures have come a long way since they were first created! 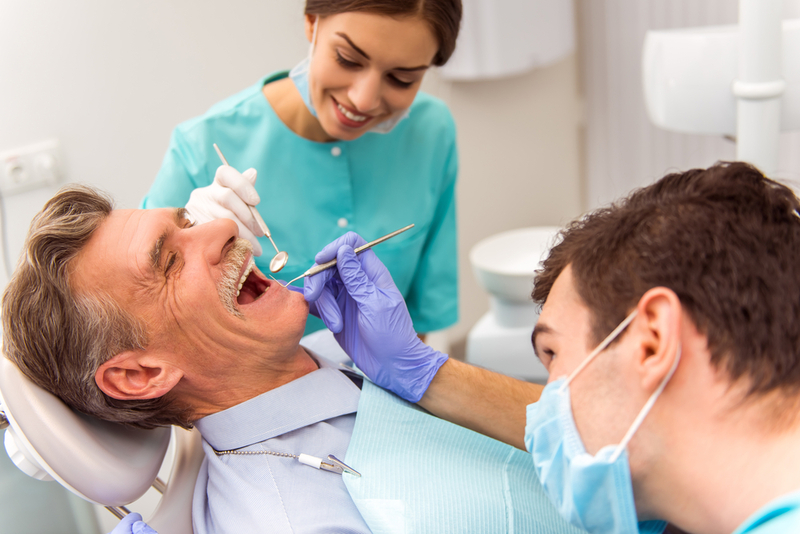 Today, modern dentures are more comfortable and look more natural than ever before. This is great news since there is growing pressure for our smiles to look as attractive as possible. One of the latest and arguably greatest developments in denture technology has to be the creation of implant-supported dentures. Implant-supported dentures are a revolutionary type of denture that combines all of the benefits of implant technology with the basic design and concept of conventional dentures. The implant process has proven to be highly successful in dentistry during the last few decades, and now dental implants are more widely available and affordable than ever before. While conventional dentures are held in place using special adhesive that secures the mold holding the prosthetic teeth to your gums, implant-supported dentures are radically different. Instead, the denture device is secured onto titanium posts which have been pre-inserted through the gums and into the jaw bone. Implants are inserted at pre-determined locations using x-rays to assess the health and density of the jaw bone. Once the implant posts are in place, the jaw bone fuses around it, encasing it completely inside and making it virtually unbreakable. The titanium posts extend up through the gum and protrudes just above it, enabling our dentist and eventually you to snap your new dentures directly onto the posts. Greater durability. Regular dentures are fragile and easily broken. Implant-supported dentures are so secure and strong that they rarely suffer any damage. Stimulates growth of bone in the jaw. This can build strength and definition in your jaw bone and improve the appearance of your overall facial structure. Ultimate discretion. Conventional dentures are well known for slipping and sliding around when the wearer talks, coughs, sneezes and laughs. However, the design of implant-supported dentures is so secure that they simply don’t move around, offering much greater discretion. Attractive teeth. The prosthetics used in implant-supported dentures are of the highest quality and most natural and attractive design. Flexibility to eat what you want. Many wearers of regular dentures find that they cannot foods that are sticky or chewy for fear of pulling their dentures loose. This is not a concern for patients who choose implant-supported dentures. Available in full or part dentures. Still have some healthy natural teeth? No problem, implant-supported dentures are available both as full and partial dentures. A great investment in your smile. Although implant-supported dentures are more expensive than conventional varieties, their durability means that they almost always last much longer than the fragile alternatives. This can make them a super investment in your smile. If you would like to learn more about the benefits of implant-supported dentures, contact us and arrange an appointment with our dental implant surgeon or your dental team today.